Volkswagen have two new style packages for the VW Eos. 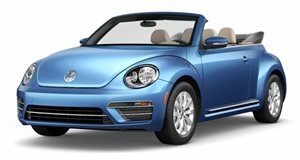 Volkswagen&apos;s success with special edition trims is set to continue with their latest packages for the 2012 VW Eos. Priced at 2,250 Euros, The Sport & Style upgrade kit includes bespoke 17-inch alloys and a glut of interior enhancements, ranging from a radio-navigation system, heated & electrically adjustable front seats, and park assistance to gray Alcantara & black leather upholstery, aluminum trim & sills, and leather steering wheel with grey stitching. Eos buyers have a second option in the form of the Black Style Premium package priced at 1,195 Euros. For this the retractable hardtop and mirror housings get a glossy black finish, two-tone 17-inch alloys are fitted, as are smoked rear windows, a sports suspension and black piano interior trim. Both packages are available with all engine options.